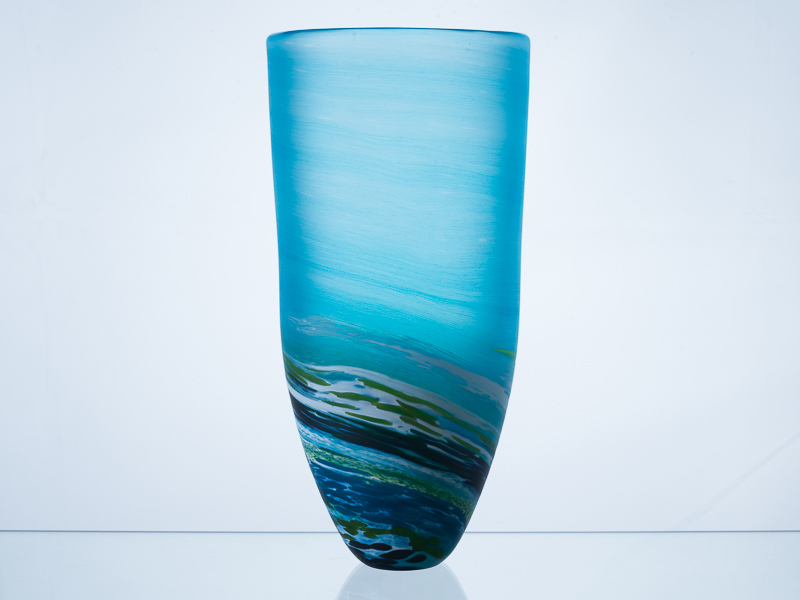 The Porthleven Collection is inspired by our weekends in Dorset, the Round Glass Vase in steel blue is an explosion of colour. 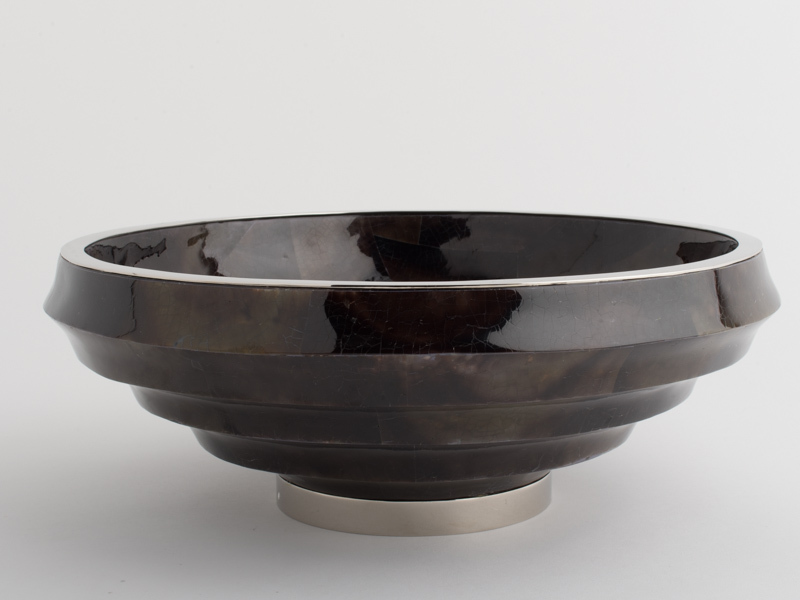 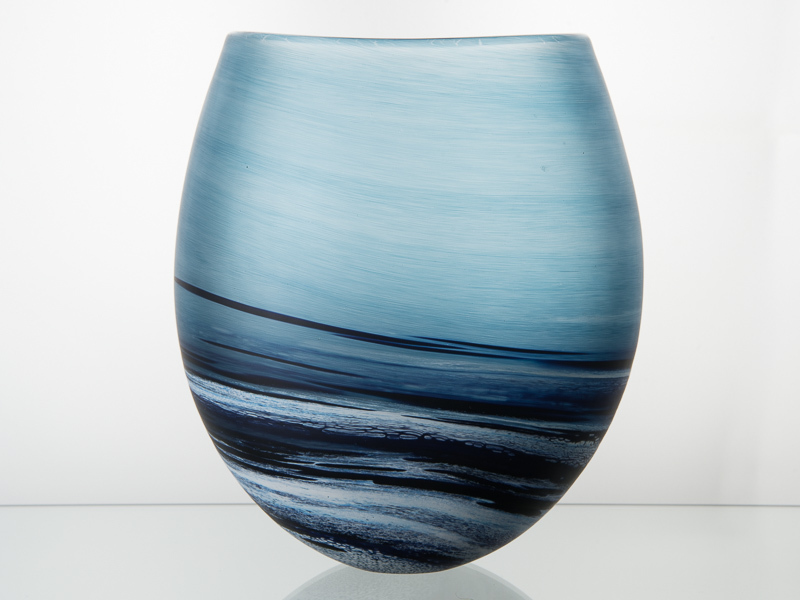 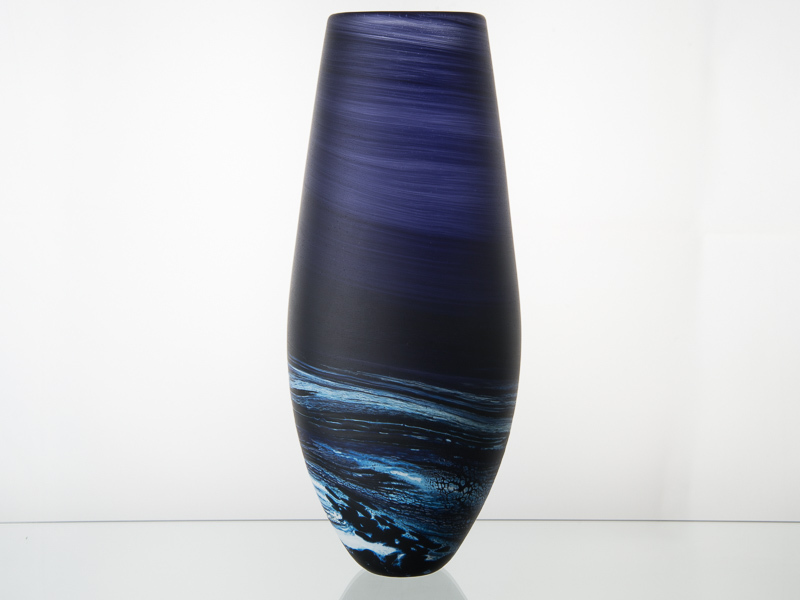 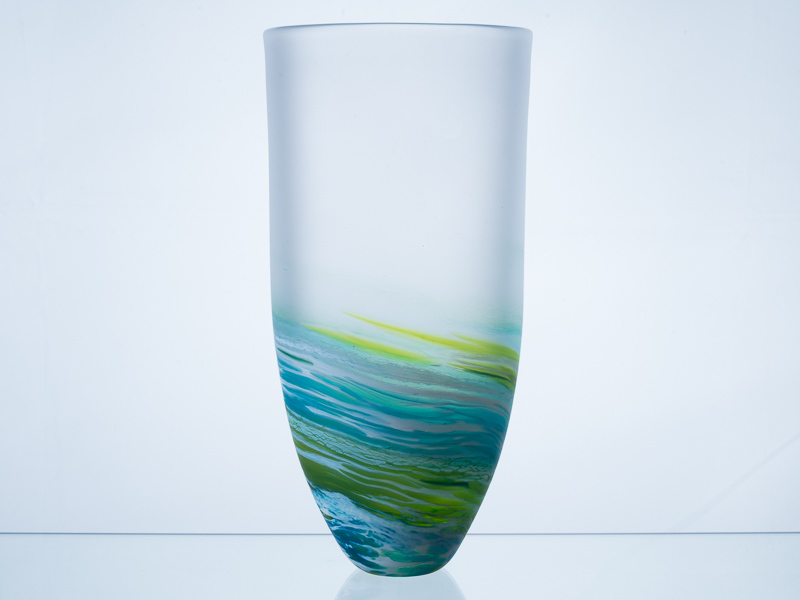 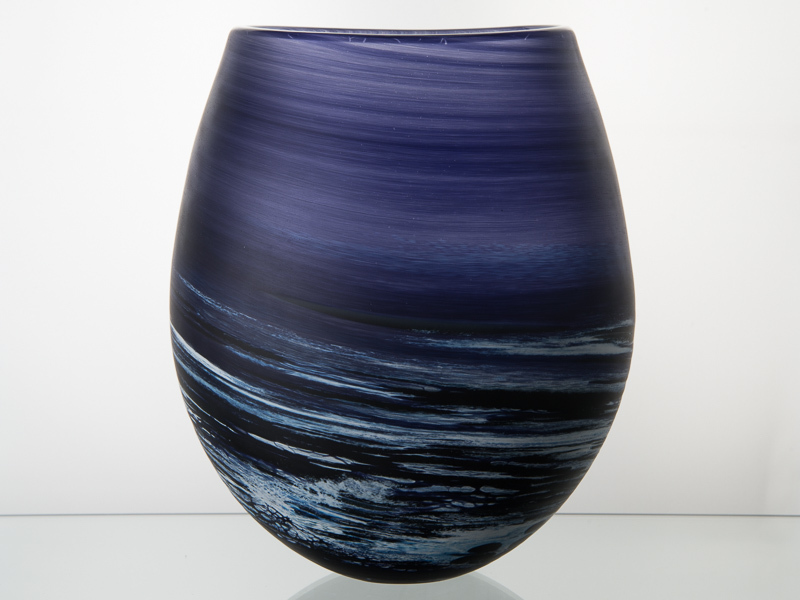 The colours mingle together to create a gentle movement and energy of the sea. 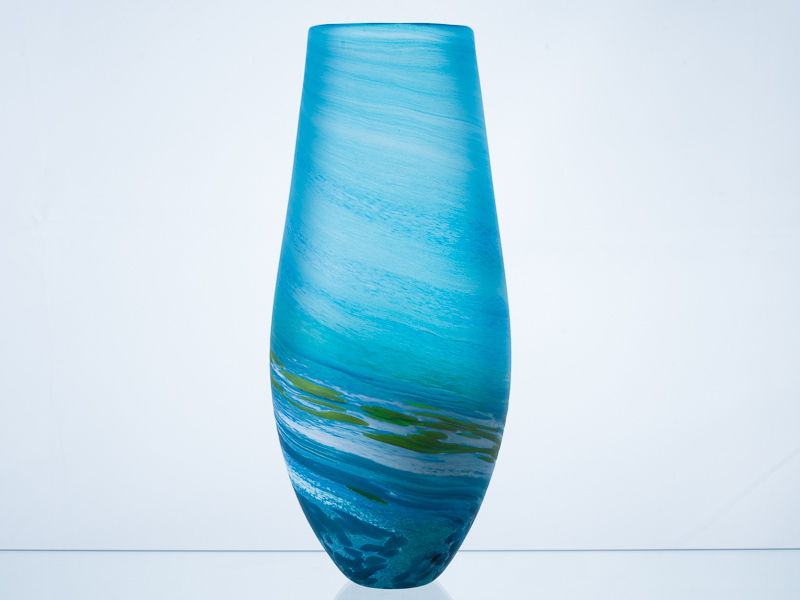 Available in six colours that represent mercurial qualities of the ocean.